Great interest in medical services with the use of artificial intelligence technologies, block chain and the Internet of Things. Health services, transport and urban travel, transaction security, are some of the services developed by innovative companies in Thessaloniki are at the heart of new technologies and are already expanding successfully outside Greece. 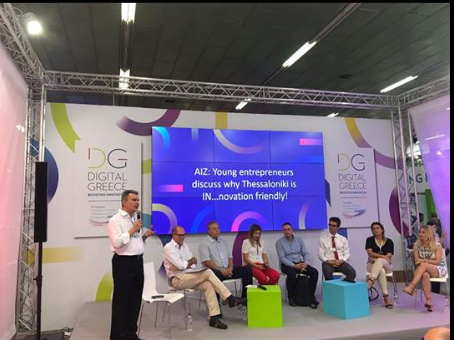 Eight innovative businesses in Thessaloniki were presented by their creators at an event organized by the Alexander Innovation Zone (AIZ) in the framework of the 83rd Thessaloniki International Fair (TIF) and the strong presence of start-ups at the Digital Greece Pavilion. The delivery of the presentation and discussion to the entrepreneurs and the audience was coordinated by the president of AIZ, Dr. Pantelis Angelidis, pointing out that a lot of important work is being done by innovative companies in Thessaloniki, which the public is now beginning to get to know despite already using products and services of some of these companies. Mr. Thomas Hatzistergiou has spoken about the already well-known Booking Clinic, a platform that brings users of medical services close to clinics, diagnostic centers and is very close to the philosophy of medical tourism, mentioning that 17 clinics, 4 in Romania, 1 in Croatia have contracted with Booking Clinic, while contacts are ongoing with India as well. Vassilis Keramaris, founder of the iQ Taxi company, has spoken about a B2B company that is ‘‘the only hope for taxi cooperatives to survive against taxibeat services’’. IQTaxi serves taxi cooperatives in Greece as well as in the US, Bulgaria and Saudi Arabia, and is profitable even though it is only in its third year of operation. Mrs. Iphigenia Paparoussi explained that Leaders Lab, making use of e-learning, specializes in the development of leadership skills and is designed to help with the development of businesses. Mr. Kostas Votis presented Mind Med, a platform for self-management of chronic diseases, that started with asthma and continues with diabetes making use of artificial intelligence technologies, Block Chain, for data security as well as IOT (Internet of Things) since the user of the service uses wearables as well. StοneWave was presented by Mr. George Chatzopoulos. 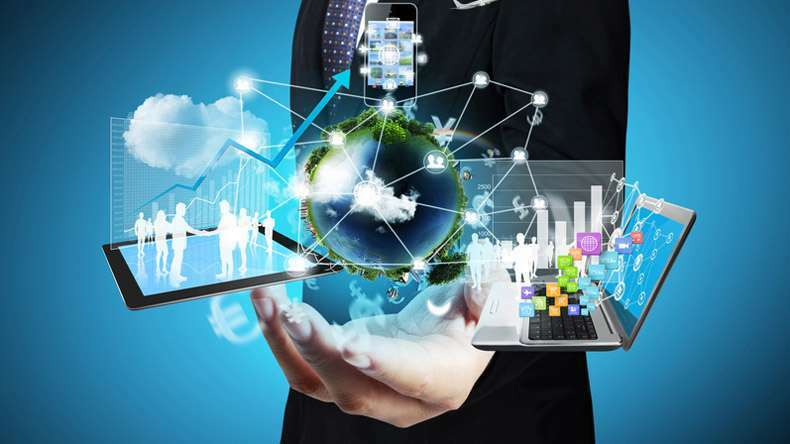 The company produces horizontal software, has designed the technological part in 17 start-ups, and through these collaborations, in which it operates as a CTO (Chief Technology Officer), is in some cases a shareholder. Blockachain, as Mrs. Maria Matthaiou said, is a company that specialises in data analytics and transaction security. Blockachain is a joint venture of ATC, a software company, and Vidavo, a telemedicine company. Miss Anna Chlioura has said that the already known company in Thessaloniki, EleKtronio, which manufactures electric three-wheeled bicycles, is preparing to expand its product range through outsourcing. Finally, Mrs. Mara Tsoumari said that SentiGeek combines hybrid technologies that allow the analysis of a text in depth to draw on the personality of the person who wrote it. 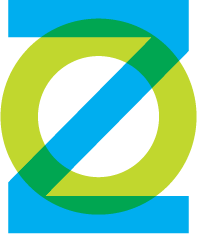 Do you have a business idea on Circular Economy? 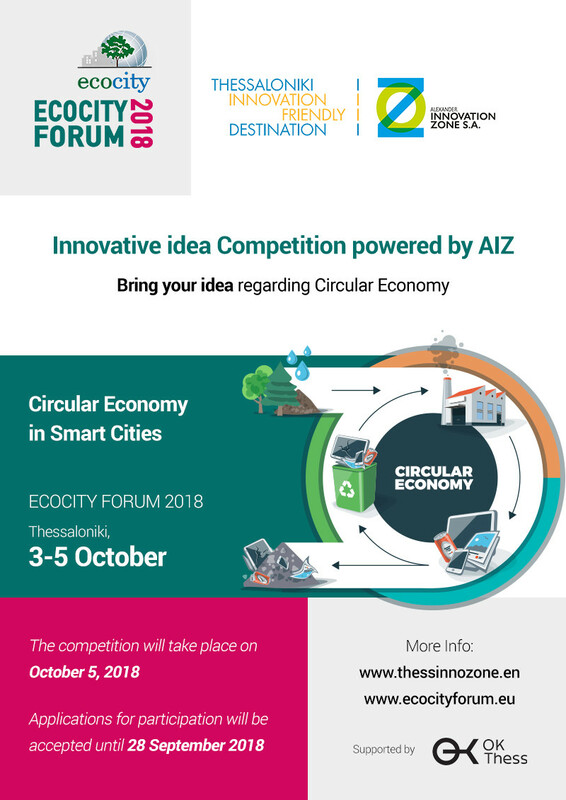 Bring your idea to the Competition organized by Alexander Innovation Zone, in the context of the ECOCITY FORUM 2018 International Conference, that takes place on October 3-5, at the Thessaloniki Concert Hall. Please, fill in the application form until September 28, 2018 and you can claim a place among the winners! The top 5 ideas that will be evaluated by the Competition Evaluation Committee, will be presented at an open event on Friday, October 5, 2018 while winners’ awards will take place during the closing ceremony of the Conference on the afternoon of the same day. Grand prize for the winner: Participation (incl. travel and accommodation expenses) in a Conference, depending on the subject of interest + free fast track acceleration 3month program offered byOK!Thess. Prize for the second and third winner: Free fast track acceleration 3month program offered by OK!Thess. It’s not mandatory to answer all the fields. Though for the evaluation of your idea the committee needs to have enough info to form a clear picture of your idea. Alexander Innovation Zone will use the application form and personal data exclusively for the evaluation of your idea. IQTaxi specializes in taxi software development in Greece, Cyprus, Bulgaria, and has already entered the US market. The roots of IQTaxi are located in another company in Thessaloniki, Compucon SA, which had previously undertaken the creation of taxi computing systems. ‘‘Considering that at some point the Compucon system was considered technologically obsolete, I was invited to modernize the specific system. In the meanwhile, Compucon changed its business activities, and so the department that was carrying out the taxi project withdrew from the company. This is how IQSystems was created, which was later renamed IQTaxi, and officially launched as of November 2014’’, says the head of business operations, KeramarisVassilios, at Voria.gr. Its founders are a team of technology specialists, VassilisKeramaris, the director of IQTaxi, Christos Iakovidis, the head of the company’s programmers, and Vassilis Karkabounas, the chief technology officer. Its core is in Thessaloniki, where its management team and developers, consisted of 8 people in total, are based; the city that has been trying in recent years through the Alexander Innovation Zone to become the innovation centre of the country and the wider region. In Thessaloniki it cooperates with the Taxiway radio taxi company, which is also its most important customer with 1,100 cooperating vehicles. In Attica it collaborates with the taxi management companies, Kosmos, Taxiplon, Enotita, Parthenon, Ikaros, Ermis, Europe, GetNowTaxi, Capital. In the rest of Greece, IQTaxi currently operates in various cities, such as Komotini, Xanthi, Kavala, Volos, Larissa, Trikala, Karditsa, Corfu, Lefkada, Chalkida, Kalamata, Rethymno as well as radio taxis in Athens. It has moreover implemented through the 18300 system a Panhellenic taxi service programme, which is available in 27 cities, in cooperation with Taxiway and Kosmos. Its role is to supply the operating system to vehicle fleet management companies, such as radio taxi companies. It has created a platform, which is installed on the user’s computer, who receives calls from customers who order a taxi. Through the platform, it has the ability to watch via live stream the position of each car of the fleet in the geographical region covered by the taxi company. The IQTaxi operating system registers all incoming calls and automatically bids by selecting the driver that is most readily available to serve the customer. In addition, it provides the option to call a taxi for the customers of a radio taxi company, through programmes for smart phones and web applications in the form of white label, i.e., they are applications, each of which carries the name of the IQTaxi customer. As the company manager in Europe, Mr. Christakopoulos, explains, IQTaxi offers its software to taxi companies in the form of white label. ‘‘What we do is to create applications, each of which carries the name of our customer who orders it’’. IQTaxi specialises in taxi software development not only in Greece, but also in Cyprus and Bulgaria, and is also active in the United States. It already supports two companies in Bulgaria and another 15 in the USA, most of them based in New York, Connecticut and New Orleans. It has also created a project for the market of Saudi Arabia. According to Mr. Keramaris, the company’s goal is to further grow in the USA and the Balkans and to expand to the market of Asia. At the moment, all three New York taxi companies, UTOG, Athena and Olympic, that belong to expatriates, use the IQTaxi platform and programmes. ‘‘We pay particular attention to the United States’’, adds Mr. Keramaris. ‘‘We have already begun setting up a programme, which supports private companies that administer ambulances. This particular project is currently serving 200 ambulances’’. ‘‘Moreover, we have completed a new programme, which is to be launched immediately from August in New York. It is about the TaxiOS, which we created for the Athena Vision company through the acquisition, on their behalf, of Flywheel company, which will initially operate in the state with 2,000 yellow taxis, and will be extended to other US states. The programme is about the modernisation of taximeter and payment operation inside the taxi. Everything will be done electronically as the taximeter will be digital via tablet. Thus, the customer will be able to pay either by card or through other means of electronic payment. In addition, there will be an application via tablet at the back seat of the passengers, through which the passenger will be informed about the progress of his journey as well as about some points of interest during the journey, such as the available shops’’, Mr. Christakopoulos explains. In autumn, along with other innovative companies from Thessaloniki and all over Greece, IQTaxi will participate in the Thessaloniki International Fair, where the honoured country is the United States of America. The amount of 300 million euros is currently available to businesses in Greece as a form of direct support for the implementation of innovative investment plans for growth and modernization or to boost their export activity. These aids come from NSRF (National Strategic Reference Framework) resources and in particular through the Operational Programme Competitiveness, Entrepreneurship and Innovation (EPAnEK), managed by the Ministry of Economy and Development. The ‘‘emblematic’’ programmes of EPAnEK that are currently in progress, are the ‘‘twin’’ actions ‘‘Digital Step’’ and ‘‘Digital Leap’’, ‘‘Quality Modernization’’ and ‘‘We Do Business Outside’’. The first and third programmes are focused on micro, small and medium-sized enterprises, while the second concerns only medium-sized enterprises,in accordance with the definition of community. That is, enterprises that employ from 50 and in each case fewer than 250 employees and the annual turnover does not exceed € 50 million or the total annual balance sheet does not exceed € 43 million. The “Digital Step” and the “Digital Leap” actions,with a total public spending of € 100 million (from € 50 million each), have been designed to boost the beneficiary businesses either to make their first digital steps or be upgraded even more. The percentage of the subsidy is set at 50% of the investment plan which will be submitted and the interested parties will be able to acquire new equipment, software and Information and Communications Technology (ICT). The amount of the grant may be up to 200,000 euros.Micro, small and medium-sized enterprises that have completed at least two full accounting periods and keep B and C category accounting books until 31.12.2017 are entitled to participate in the actions. The closing date for applications is October 2 2018. It is to be noted that the expiration day of the initial deadline was September 17, but a slight extension was given. ‘‘The Digital Step’’ refers to digitally immature businesses (low or middle digital rank), which can submit an investment budget plan of between € 5,000 and € 50,000. The ‘‘Digital Leap’’ refers to digitally mature businesses respectively (higher or highest digital rank), which will be able to submit an investment budget plan of between € 55,000 and € 400,000. Supply, transport, installation and operation of new machinery and other ICT equipment necessary for the operation of the business and the security of the provided services. The said programme concerns the boosting of existing medium-sized enterprises, and as a matter of priority, those active in the nine strategic areas of EPAnEK in order for them to upgrade and improve their competitive position in the internal and external market by investing in their modernization and quality upgrading. With a budget (public spending) of 150 million euros and a subsidy rate of 50%, the programme subsidizes investment plans ranging from 50,000 to 400,000 euros, including the acquisition of new modern machines and equipment in general, necessary for the operation of the enterprise and the pursuing of its economic activity, the introduction of quality management systems, the designing, the standardization and certification of products. Additionally,costs of transport procurement, consultancy services for the monitoring of the investment plan as well as full wage costs for newly recruited staff are being boosted. The submission of applications has begun since June 27 and will remain open until the available budget is exhausted and 18 months after the initial publication of the call at the latest. It is underlined that investment projects with a budget of less than € 50,000 are considered ineligible and cannot be submitted. If the investment plan has a budget of more than € 400,000, the excess amount will be considered a 100% private contribution to the project. In this case, although the excess costs are not subsidized, the subject of evaluation and monitoring – control is the entire investment plan including the extra cost. In any case, the deadline for the completion of the funded investments may not exceed 24 months from the date the decision of inclusion has been adopted. Employee cost (new staff) supported by the ECB (European Central Bank) (use of a flexibility clause). With a budget of € 50 million, the “We Do Business Outside” programme aims at boosting small and medium-sized businesses, so they can participate in international trade fairs. In particular, through the “We Do Business Outside” programme, small exporters will be able to take up to € 50,000 in total within 30 months to strengthen their extraversion. (NACE) for products they wish to promote through their participation in trade fairs, they already produce / process these products, are already engaged in export activity and at least 2% of the annual turnover comes from exports of products they produce / process. Applications may be submitted until June 2018, unless the available budget is exhausted. Every business can apply for funding up to € 100,000.
up to € 50,000 per fair in the case of participation with a booth of more than 50 square metres, with a maximum public grant of 25,000 euros. Accommodation in the country where the fair takes place. Stand rent, construction / modulation costs and equipment rental (e.g. audiovisual equipment). Expenditure is eligible from the date on which the application for funding is submitted electronically for up to 30 months from the date of the decision to put the investment projects into action. An innovative technological solution for the utilization of unprocessed residual biomass for energy purposes, on a local scale, was developed by the Department of Mechanical Engineering of the Aristotle University of Thessaloniki (AUTh). The 10-year survey was conducted at the Foundation’s Applied Thermodynamics Laboratory (LAT). This solution will be aimed at Mediterranean wineries for a start. At a later stage, the technology will also be aimed at other markets, such as breweries, olive oil mills, rice processing industries, poultry farms, biological cleaning and so on. The first data has showed that units of 20 kWel can lead to very significant reductions in both energy costs and waste management costs as well as repayment periods of less than 3-4 years. Since 2012, the laboratory has implemented the development of a prototype power unit of 5 kW (+ 12kW heat) within the framework of the LIFE08/ENV/GR/000576 SMARt-CHP (SMARt-CHP) research programme. The prototype unit has the potential to utilize unprocessed residual biomass by combining fluidized bed gasification technology with a cogeneration system suitably modified to utilize the gas produced, while anti-fouling vehicle technology was applied for the purification of the gas produced which was studied in previous years in the Laboratory of Applied Thermodynamics (LAT), a world-class laboratory on this research field. The original unit has operated for more than 3,000 hours, utilizing residues (pits, shells and so on) from grapes, olives, peaches, almonds, etc., while the research work has been awarded as one of the best LIFE projects, receiving the ”2013 Best LIFE Environment Projects Award”. Modern agri-food industries consume high amounts of energy, while at the same time they produce a large quantity of organic residues, which they currently manage as waste. 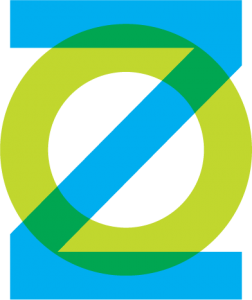 Available technologies for the energy recovery of organic residues are either economically viable only on large scale facilities, thus they are not suitable for the needs of individual industries, or require high levels of pretreatment of the fuel, increasing in this way the operating costs of any solution dramatically. The team of scientists (Dimitris Mertzis, Dr. Mechanical Engineer AUTh, Stefanos Tsiakmakis, Dr. Mechanical Engineer AUTh, Professor Zissis Samaras, Department of Mechanical Engineering AUTh), has proceeded with the foundation of BIO2CHP, a spin-off company of AUTH. BIO2CHP aims to develop and commercialize power plants that use non-pretreated residual biomass for the co-generation of electricity and heat, on a small scale and locally.